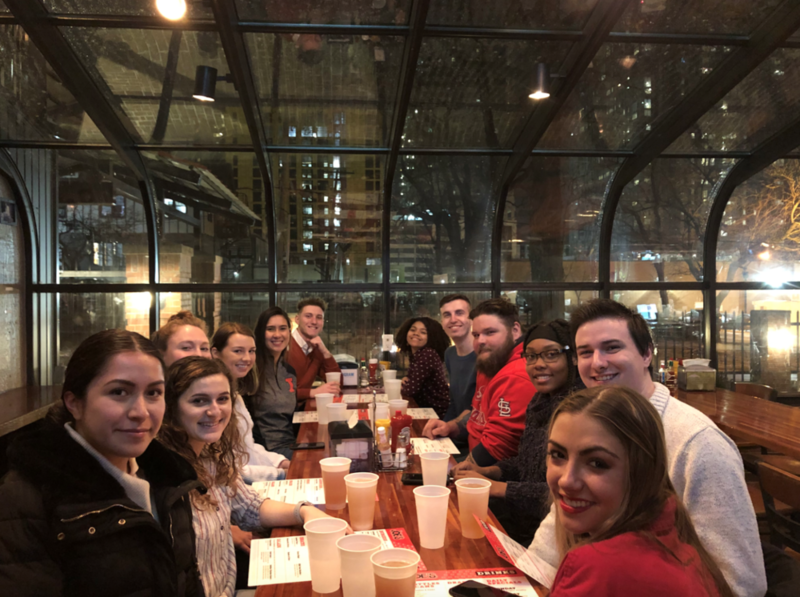 Mentors and mentees at Bonding Over Burgers at Joe’s Brewery on February 11th. It is no doubt that our chapter of American Advertising Federation has a lot to offer its members. One of the standout programs is our Mentor/Mentee program, where AAF pairs a returning member to a new member with similar interests. Building relationships is incredibly important in the advertising industry. AAF Illinois makes sure mentees and mentors can build their relationships in and out of the organization. Recently, AAF hosted a Bonding Over Burgers event at a local restaurant on campus for students involved in the Mentor/Mentee program. Alec stated Bonding Over Burgers was his favorite event. The burgers may have been half-price, but watching mentees and mentors grow through their relationships is priceless. Being part of AAF at Illinois and the Mentor/Mentee program is the best way to write your own pages and help color in the pages of your peers. We are all part of the bigger picture.